Mr. Cruz is a Senior Analyst at HT Capital Advisors and is responsible for supporting senior bankers on all aspects associated with HT Capital’s mandates. He brings over 5 years of experience in the investment banking and venture capital space. 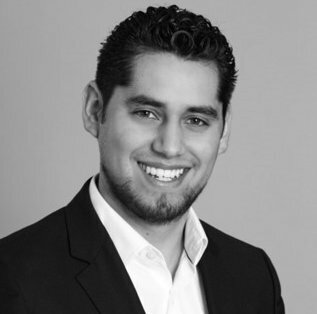 Prior to joining HT Capital Advisors in 2018, Mr. Cruz worked at WaveEdgeCapital, a healthcare focused investment bank in Silicon Valley. Previously, Mr. Cruz worked as an Investment Analyst at FenoxVenture Capital, a Silicon Valley-based VC, where he conducted deep due diligence on hundreds of start-ups and contributed to the investment decision in companies ranging from healthIT, 3D printing, robotics and fintech. Before Fenox, Mr. Cruz worked as a Finance Intern at Intellectual Ventures, a Seattle-based VC and one of the top-ten owners of US patents, where he worked closely with senior management to develop investor decks and report fund metrics. From 2012 to 2014 he was an early employee and key contributor at PitchBookData, a leading private equity and venture capital research firm where he had a lead role in discovering new data sources that enabled the valuation of VC-backed companies. Mr. Cruz earned a Bachelor in Business Administration with a focus in Finance from the University of Washington, Michael G. Foster School of Business in Seattle, WA. He is fluent in English and Spanish. Mr. Cruz if a FINRA registered representative who holds series 79 and 63 securities licenses.